We all have heard of The Supremes, Stevie Wonder, and the Jackson 5, but where did Motown come from and how has it been important? Whenever I think of Motown my mind jumps straight to the thought of Detroit. The relationship between Motown and Detroit may not be obvious but the name comes from combining “motor city” and “town”. 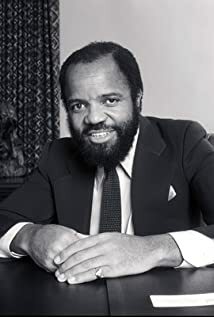 The term Motown was dimed by its creator, Berry Gordy. But Motown is more than a name and a city. Motown is funk. Motown is jazz. Motown is soul. Berry Gordy is another man in history who is known for “American Dream” success. Gordy worked jobs in the auto industry, but he had the passion for music and creating his own record company. He went on to create Motown and signed many acts that we all know and love today. Gordy turned Motown Records into one of the most successful African American owned businesses. Gordy created a musical movement that gained the attention of everyone in America. Gordy was a supporter of the middle class. One of his challenges as a black record company owner was to gain the attention of white listeners in America. His artists had messages that needed to be heard by everyone in America. These messages included social injustices, the Civil Rights Movement songs, women’s rights songs, and anti-Vietnam War songs. Motown has been an important genre of music to American society. It has offered voices of black people, that without the work of Berry Gordy may have gone unheard. Here is a little pick me up… sort of. “Motown Music – The Sound That Changed America.” Motown Museum. Accessed April 19, 2018. https://www.motownmuseum.org/story/motown/. “Marvin Gaye – What’s Going On.” Genius. January 17, 1971. Accessed April 19, 2018. https://genius.com/Marvin-gaye-whats-going-on-lyrics. This entry was posted in Kelsey Anderson and tagged Berry Gordy, Civil Rights Movement, funk, Jackson 5, jazz, Marvin Gaye, Michael Jackson, Motown, Protest Music, soul, Vietnam War by Kelsey Anderson. Bookmark the permalink.